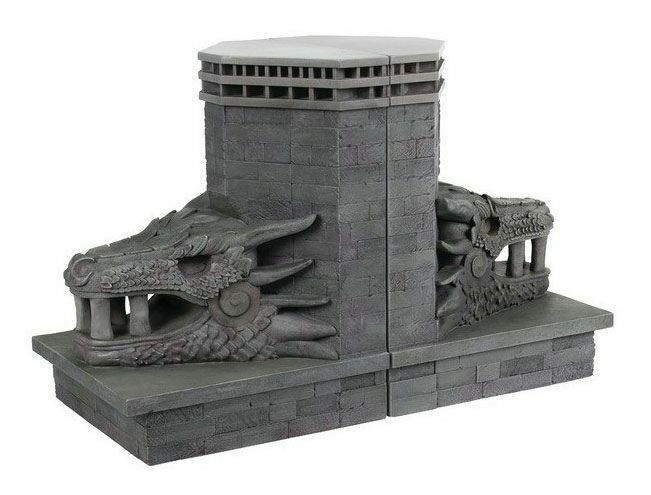 When Daenerys Targaryen returns to her birthplace of Dragonstone, she enters the castle doors through the massive and ominous Dragon Gates, to claim her rightful throne. 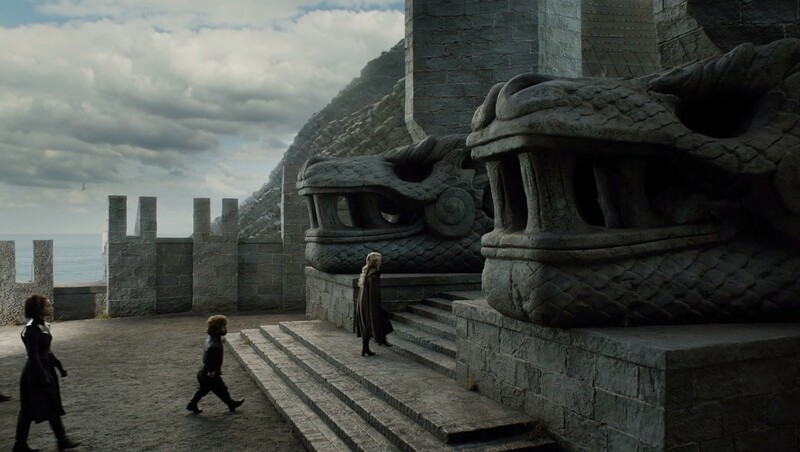 The Dragon heads warn all others of the power of the Targaryen family. 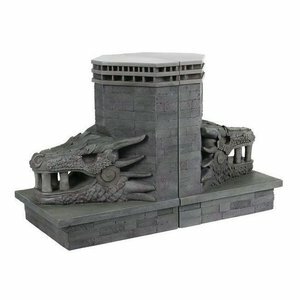 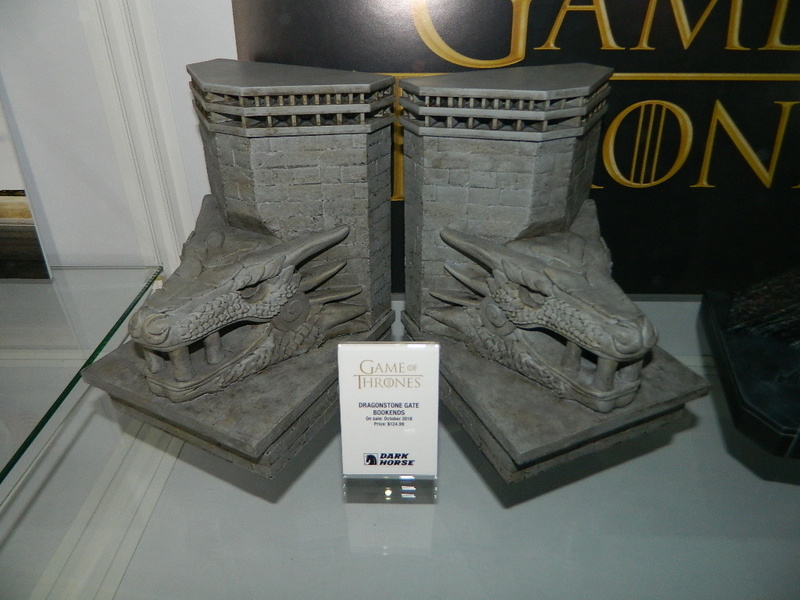 These 20 cm tall bookends are sculpted and hand-painted to perfectly match the details of the set pieces from HBO's Game of Thrones.